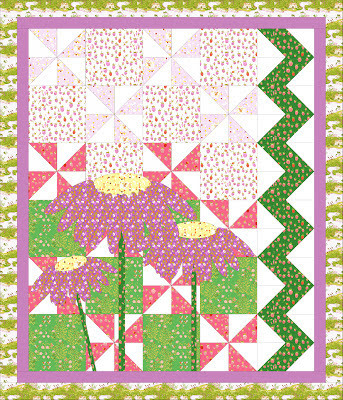 Daydreams of Quilts: Daydreams of Quilts to carry "Briar Rose"
Daydreams of Quilts to carry "Briar Rose"
Hi everybody. I have exciting news! I just received confirmation of my order for the entire line of "Briar Rose" by Heather Ross for Windham Fabrics. I will have the entire line including cotton and jersey fabrics in my Etsy shop in mid August after our family moves to our new location in Wainwright, Alberta. Please keep an eye on my Etsy Shop after August 12th if you are interested in buying from a Canadian source. I do not have photos yet but some of the fabrics are in this digital quilt that I designed. I am excited to expand my Etsy shop to carry supplies.